The Canorgue estate is located in the heart of the Lubéron Mountains between Avignon and Aix-en-Provence. The chateau is built on ruins of a Roman villa in the village of Bonnieux, in the center of the southern French region known as the Lubéron, on the northern edge of Provence. The beautiful old chapel on the label is part of the property, which was all part of a fiefdom granted by Pope Benoit XIV. The winery is owned and operated byJean-Pierre Margan, the winemaker, his wife, Martine, and their daughter, Nathalie. 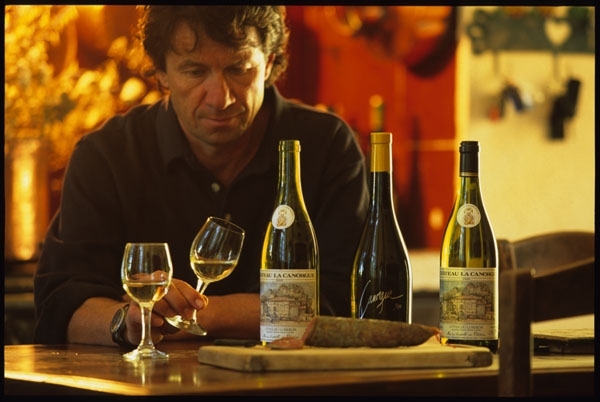 They have been producing top quality, organic wines for more than 30 year and Jean-Pierre was named one of the 500 Best Winemakers in France by le Guide Hachette des Vins. Chateau La Canorgue’s small wine property is a special place for the culture of the vine. Only the best suited regional varietals are grown here: Syrah, Grenache, Mourvedre, Carignan and Cinsault for red wines; Viognier and Chardonnay for whites. Natural quality is the goal; the Margan family chose organic and biodynamic methods to support this goal. Natural quality is the goal of vineyard culture at this chateau.